In all editions of SFF-rated 2010, there has been shorts in competition, and shorts in Thematic Groups- and out of competition. The conventional wisdom says that the not-in-competition shorts are of lower quality. But here in SFF-rated we don’t like conventional wisdom. Thematic Groups were initially created to host shorts belonging to genres tangent to Sci-fi & Fantasy (like horror for example). But this year we were faced with a enormous amount of high quality shorts. We wanted to screen them all, and we didn’t know how the competitive process would work if it was spread throughout the 7 days of the festival. So we played the following card: we handed out questionnaires for the Thematic Groups also -asking the exact same question that was asked for the Competition Shorts – “Would you watch this film for a second time”? Secretly we had decided that if a short screening in a Thematic Group got the highest rating overall, it would be the one to receive the Audience Award for Best Short – after all, it is the Audience’s, not the SFF-rated team Award. 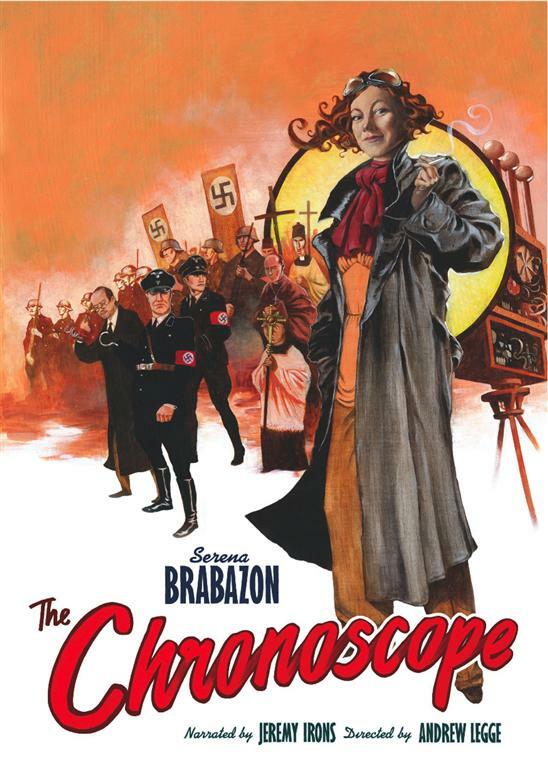 “The Chronoscope” (Ireland) by Andrew Legge, an excellent pseudo-documentary about a forgotten female scientist (Irish of course) that had invented a machine to look (not travel) back in time. The short was narrated seductively by famous actor Jeremy Irons and created fanatic followers that were lobbying for it!